Petros Kariotoglou was born in Samos in 1951. In 1969 he graduated from the Pythagoras High School in Samos. In 1974 he graduated (8.15) from the Physics Dept. Aristotle University of Thessaloniki. In 1976 he got his master degree from the postgraduate program on Electronics from the same School. In 1979 he was starting worked as a secondary Physics teacher till 1994. In 1986 he started his PhD in the Physics Dept. Aristotle University of Thessaloniki. The title was “Teaching and learning problems of fluid mechanics in high school” and it was completed (Excellent) in 1991. 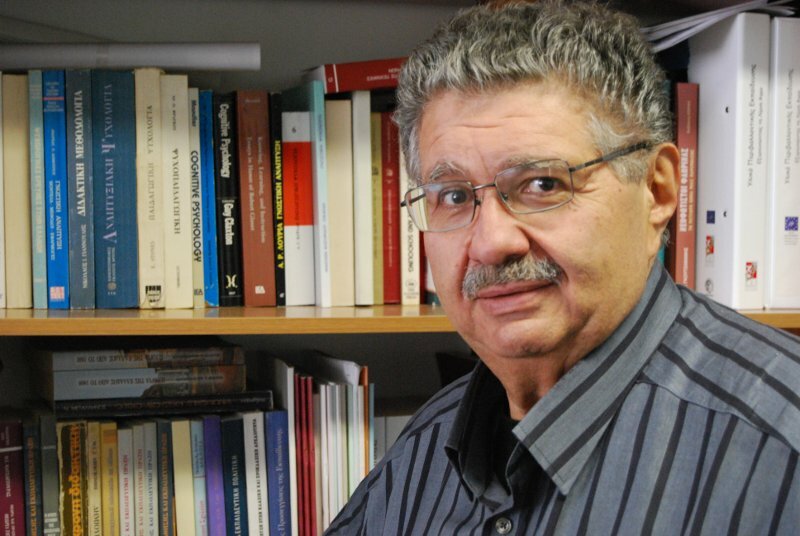 From 1988 -1989 and 1989-2000 he was worked as researcher in the Physics Dpt, Aristotle University of Thessaloniki in the direction of Science Education and Educational Technology. During the school years 1991 - 1992, 1992 - 1993 and1993 – 1994 he was worked as Physics teacher in the Dpt of Primary Education in the University of Athens. In 1993 he was elected and in 1994 he was appointed as a Lecturer in the Dpt. of Primary Education Aristotle University of Thessaloniki on “Teaching Methodology”. In 1998 he was elected and appointed as an Assistant Professor in the Dpt. of Primary Education Aristotle University of Thessaloniki on “Teaching Methodology and Science Education”. In January 2002 he got a permanent position. In the first semester of the school year 1998 - 1999 (September- November) he worked as a visiting fellow (sabbatical) in King's College (London). In 2002 he was elected as an Associate Professor and in 2006 as a Professor in the School of Early-Childhood Education in the University of Western Macedonia (Florina) on “Science Education in Pre-school Education”. In 1-1-2017 was retired and on April 2017 he was awarded the title of Professor Emeritus. A) Design, development, implementation and evaluation of innovative’ teaching/learning sequences for students and/or pre- or in-service teachers. The frame of the sequence development is that of Science Pedagogical Content Knowledge. B) Revealing and modeling of the students’ and/or teachers’ cognitive structure (ideas) and their evolution in specific science concepts and phenomena, such as fluids (pressure, floating-sinking), force, sound, heat, electricity. C) Investigation of the factors and the environments affecting Informal Education in Science and Technology Centers. D) Study of the professional development of Science teachers. In the school years 2007-2008 and 2008-2009 he was president of the Dpt of Early-Childhood Education, University of Western Macedonia, while from the year 2010-11 till 2014 he was director of the postgraduate studies "Educational Sciences" of the same Dpt. From 2007 till 2016 was member and between 2014 and 2016 President of the Quality Assurance Agency of the University of Western Macedonia. From 9/2014 till 12/2016 was Dean of the School of Education. He was retired at 31/12/2016. From June 2017 he is an Emeritus Prof. of the Univ. of Western Macedonia.